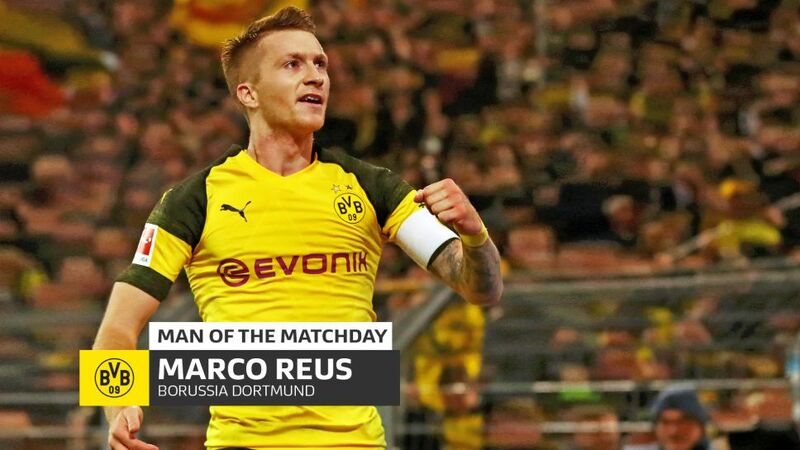 Borussia Dortmund captain Marco Reus echoed the thoughts of spectators all over the globe following his side's come-from-behind 3-2 Klassiker victory over Bayern Munich on Saturday, saying it was "fun" to be involved in. The 29-year-old scored BVB's first two goals, cancelling out efforts from Robert Lewandowski each time, before Paco Alcacer struck a superb winner to steer Lucien Favre's side four points clear at the top of the Bundesliga standings and seven ahead of Bayern. "They put us under a lot of pressure but in the second half we had more confidence in our own ability," said Reus afterwards. "It was an incredible match today and was fun to be out on the pitch. We won at home against Bayern, so we can't have many complaints. Equalising at 2-2 gave us a boost and we put our foot on the peddle after that." That is quite the understatement; ramming their foot to the floor would be a more accurate description. Dortmund's irresistible attacking force subsequently caused the defending Bundesliga champions to waver, eventually striking the knockout blow when Alcacer collected Axel Witsel's through-ball before finishing coolly past Manuel Neuer. Although it was a sensational collective display from Dortmund, particularly in the second half, Reus deserves his fair share of the plaudits for leading his side to victory. Not only did his brace take him to joint-second in the top scorers' chart with eight league goals this term – level with teammate Alcacer, Borussia Mönchengladbach forward Alassane Plea and Eintracht Frankfurt frontman Sebastien Haller – combined with his four assists it also means he has been directly involved in a remarkable 12 goals in the Bundesliga this season. Furthermore, now fit again and completely free of injury, he has found the net more often after 11 games in 2018/19 than he did in the two previous Bundesliga seasons (seven in each campaign). Not that Reus sets much store by statistics, however: "We're a team and everyone works for everyone else. I feel good and am playing in my favourite position. But I also missed two or three chances today, they would've been important if they'd gone in. "Our advantage [in the league table] means nothing right now. It's good to have that cushion but Bayern are really strong. It's far too soon to talk about whether we can win the title or not." As true as that may be, that Klassiker performance sent out a clear statement of its own.